Awestruck, a digital network subsidiary of AwesomenessTV targeting the burgeoning millennial mom demographic, has announced today its first-ever scripted series. Titled Confess and debuting exclusively on Verizon‘s go90 mobile video platform, the series is based on Colleen Hoover’s 2015 romance novel, which is about a woman who is struggling to fund a custody battle for her only son and falls for a talented and charming artist. 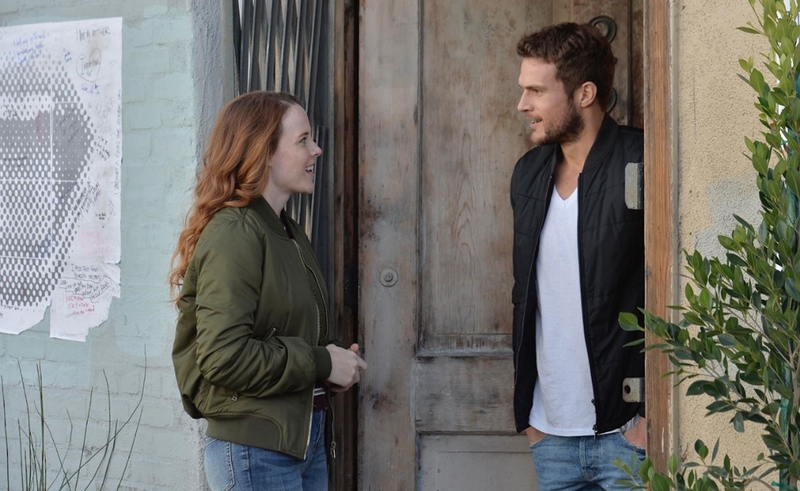 Confess will feature Katie Leclerc (Switched at Birth) in the starring role alongside Ryan Cooper, who is also set to appear alongside Scarlett Johansson and Kate McKinnon in the 2017 comedy Rock That Body. Twin Peaks actress Sherilyn Fenn has also been cast, as have DJ-slash-influencer Amy Pham and the Viner-turned-actress Brittany Furlan. It is set to premiere early next year. Confess, which is currently in production, was adapted for the small screen and is being directed by Elissa Down. The series’ executive producers are Lauren Levine, Colleen Hoover, Lifeboat Productions, Brian Robbins, Brett Bouttier, and Berger. Past productions from the Awestruck network have included an unscripted series chronicling the surrogacy journey of YouTube star GloZell Green and chat shows from both Kandee Johnson and Louise Pentland titled Kandee Unwrapped and Dear Louise, respectively.